Incumbent Bill Nelson trails opponent Rick Scott by just over 21,000 votes, according to Nelson's attorney Marc Elias. 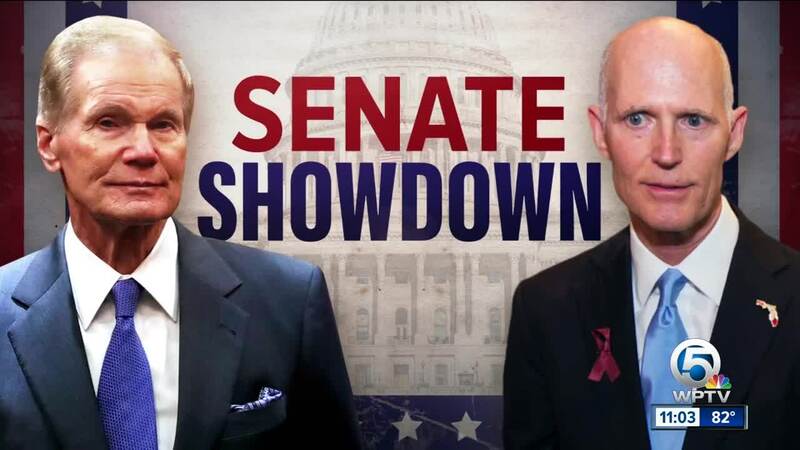 Florida election officials are busy, still tallying votes in the race for U.S. Senate. The Washington-based attorney specializes in election recounts. During a conference call with reporters, he said the gap between the candidates is closing so fast, state law may call for a mandatory hand recount. Elias says there are in excess of 10,000 ballots in Palm Beach County that have not been counted as of Thursday morning because of stray marks and other issues that couldn't allow them to be scanned and tallied. He also says Broward County is still counting votes. It leads him to believe that Nelson will ultimately be declared the winner. Also, there is a deadline of today for voters to submit any identification or signatures that would allow disputed provisional ballots to be counted.